Without the right mindset, you will not be able to reach as high as you are capable of reaching. I’ve said many times that your mind is the most important muscle you can work. Focus it correctly and consistently and you’ll get results and achieve goals that you never thought possible. This is especially true when you’re a little older, you’re committed to your health and fitness, and you have a busy, productive life outside of the gym to manage. 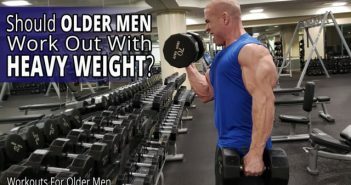 You’re looking for the best training tips for older men. You’re devouring all of the information you can from the more experienced lifters and fitness experts on the internet. You’re that committed to your success. 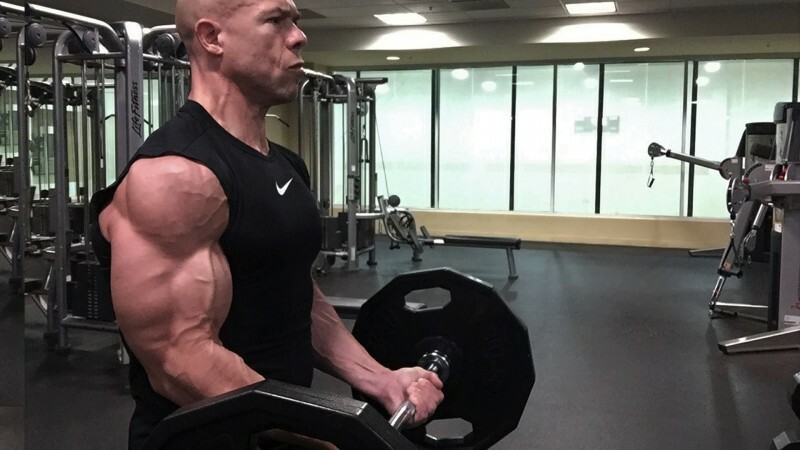 In this blog post, I’m going to share six training tips that the most experienced lifters have mastered–but haven’t made clear enough for you to fully understand. To the less experienced lifter, these next level tips may seem like only small differences compared to what they’re doing now. They’ll help you close the gap between where you are now and that amazing level of development those more experienced fitness experts have earned. It’s very easy to become so mentally focused on lifting a weight that we neglect one of the most powerful parts of the exercise; the negative movement. It’s so much easier to control a weight on the positive movement. Maintaining precise control of the negative movement stimulates your muscles so dramatically that it’s essential for next level results. When you put forth that burst of power on the positive side of the move, you are shortening the muscle. When you go back to reset, you are elongating it. Don’t let the weight control this movement. There is a lot of different training styles and a lot of opinions on how best to control the negative movement of an exercise. Some are extreme and call for controlling the negative movement for four whole seconds. Others just say to complete it in two seconds. With my training approach, I suggest a one-count on the concentric or positive part of the movement and a two-count on the eccentric or negative. The basic idea is to do it half as fast as the positive movement. Whatever your training style, really concentrate on controlling the weight during that part of the moment. In order to do this, you’re going to need to be focused on the rhythm, otherwise you will be liable to lapse into letting control of the negative and it will get away from you as you get tired. Why do I continually include this in my training tips and even add it to the mindset series? Because it is one of those aspects of training that many people mistakenly think they execute. They need to put more emphasis on it. You can’t ever get to the next level without doing this. Tracking your progress is absolutely essential to next level training. There’s no room at this level for just winging it. By tracking your progress, I’m not talking about just writing down that you benched 225 during your last workout. Who really cares about that? That’s in the past. That’s just mere record keeping. How do you use that information to propel you to the higher and higher levels in the future? I’m talking about having a journal or a spreadsheet where you can record what you did the last time you worked out, how you felt and other information that will help you to predict trends and set your ambitious goals properly for your future efforts. How many times have you benched 225 and thought, “Wow, I did pretty well today.” But then you remember that you benched 235 and for more reps last time. 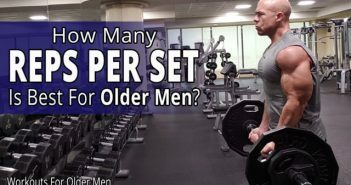 Essentially, you just wasted a set, because if you had remembered that you benched 235 for more reps last time, you would have been aiming for beating that. Heck! Although that’s certainly not the next level way to go about your efforts, if you were to even do that you’d be far ahead of the vast majority of the people working out in the gym. They’re just happy to get the workout over with. Tracking your progress allows you to set goals for each workout that are based on what you know you have done, not based on how you feel at that moment or what you think you can do today. Your feelings are unreliable indicators of what you are truly capable of achieving. Numbers give you a more accurate understanding of who you really are and what you are truly capable of achieving now and in the future. A lot of times, just knowing you have to write it down after your set makes you work that much harder. You become more accountable to yourself. In life, accountability plays a huge role in even the hardest working people’s performance. 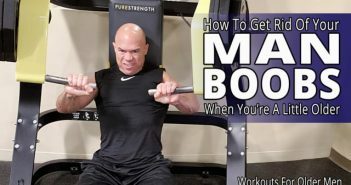 If you know that you will have to write down that you benched twenty pounds less or did fewer reps, that’s often enough to make you push through to a better workout. This is where you start making some real progress because you’re always setting your own bar a little higher. The difference between form and execution is that when people focus on form they often become preoccupied with how an exercise looks, rather than how well they are doing it. Even worse, they worry about what other people may think of how they are performing the exercise. That’s a huge mistake that people at the next level don’t even worry about! Focusing on execution means making sure that the right muscle group is targeted and stimulated properly. When you’re too focused on form and how a move looks (especially to the people around you in the gym), you risk doing the exercise in a way that doesn’t benefit you. Maybe for you, your back shouldn’t be quite so rigid. Maybe the angle of your elbows needs to be a little more pronounced in order for you to stimulate your shoulders. I’d rather have you think about execution than form because that’s how you target and stimulate the right muscles. That’s how you maintain the proper focus and how you move on to the next level and the next. A lot of people become too satisfied when they find a workout program and a diet that everyone at the gym or on the internet approves of. It might be a great program and it might be a fine diet, but there’s so much more that goes into getting results. Results, like your mental and emotional focus and your execution and understanding of your body and your program. If you become satisfied just because you think you have the right plan, you are too worried about the process. You need to be focused on your results. Don’t be satisfied just because you have this acceptable training program with the right diet. You’ll become complacent and think that’s all you need to get results. Instead of letting the process drive you, be results-driven. When you’re focused on the results, you make sure you are doing the exercises properly, that you understand your program and your body, and you are giving them both your all. You use all of your physical, mental, emotional, and psychological powers to find way to make the program work even better. And, trust me, there is a way to continually take whatever program you are using to higher and higher levels. But you aren’t going to find those next level strategies if you are satisfied because you think the plan is just going to take you there. It’s not the program that will take you there. It will be YOU. I’ve also seen people become overwhelmed because they don’t think their program is good enough. They are getting results and they look fantastic, but they’re so focused on the process and how good it is or isn’t that they don’t see how well they are doing. These people need to become results-driven quickly or they won’t enjoy the journey enough to stick with it. When something is really important to us we typically want to get feedback on our goals and how we’re going about achieving them. We want assurance that we’re doing things right and we also want some advice on how to reach higher. There’s nothing wrong with seeking that out as long as you seek it from the right sources and as long as you know when to go with your own ideas. Only ask for advice from someone you really respect, who has your same goals, passion and desire, and not some watered-down version of it. If you want to be a champion bodybuilder (for example), you don’t go to an auto mechanic who causally trains three days a week to get his advice on gearing up for your next contest. Believe me, there will be people with absolutely no experience or even passion who get a real sense of power telling you the “right” way you need to be doing things. You go to someone who has your best interests at heart, who understands what you’re doing and why, and who can give you some real insight. One of the worst things you can do in this area is post your diet or training routine on the internet somewhere and ask everyone what they think. I already know what they will think: half will love it and half will hate it. But does either half actually know what they’re talking about? And if so, which half? Bottom line: You are more confused than before you posted it. One of the most important ways you can train your mindset is by reviewing your workouts religiously. This doesn’t have to be a long process, but it does have to be a consistent one. We talked earlier about tracking your progress, but tracking is half the process. You also need to review what you’re tracking. In order to constantly be striving for more and pushing to the next level, you have to assess where you are now and what you did today. You want to stop bad practices before they become unconscious, bad habits and reinforce the things you do well so they become unconscious, good habits. This doesn’t have to take up a lot of time; I recommend taking thirty seconds after your workout to review how you did. Did you fall short of your goals or expectations? What can you do better next time? What new strategy or technique really worked for you today? These are simple and effective “organizing principles” to training and workout success. Do these things and you will be well on your way to become an “advanced lifter” sooner rather than later–despite being a little older with a busy, productive life. Think bigger than getting bigger.